For TGIF, I’ve got something really special. 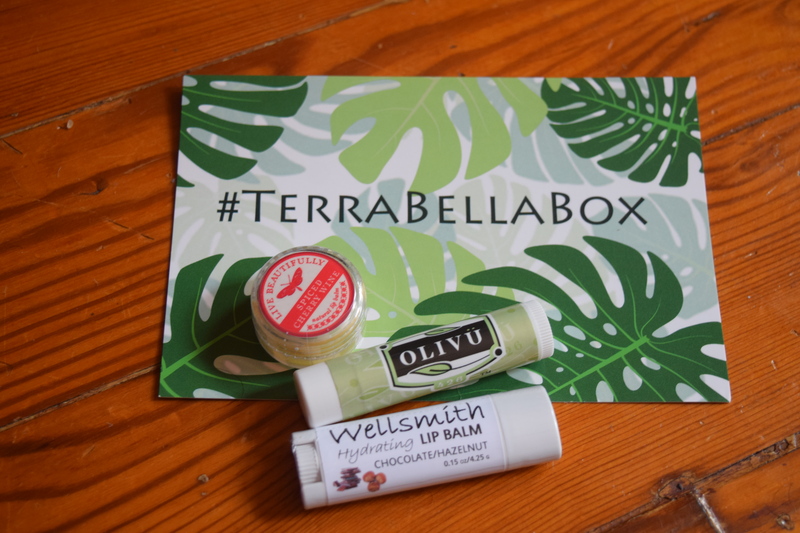 Not only do I have a review of the new natural beauty subscription box, Terra Bella Box, but they were awesome enough to give me a lip trio as a giveaway for you, my oh so awesome readers. The rules and info on how to enter are below. 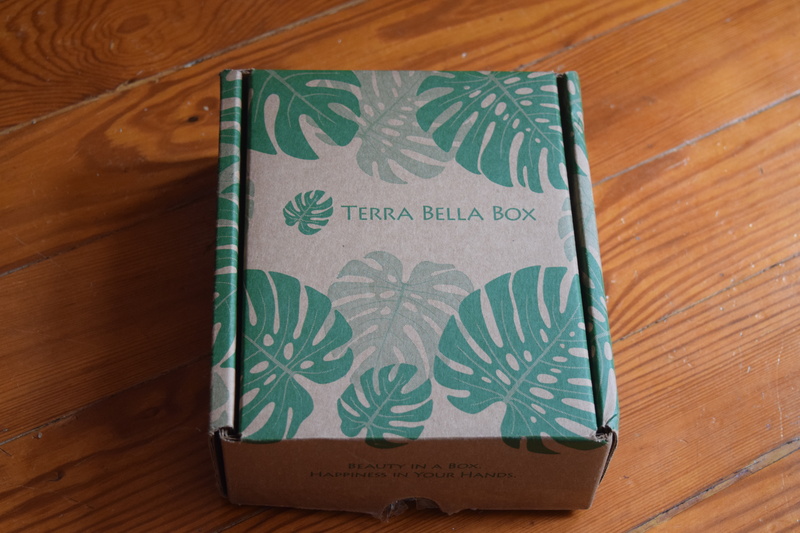 Terra Bella Box offers two box options, the regular box offers 5-6 natural beauty items, while the “lite” version has 2-3. For details on pricing, including prepayment discounts, jump down to “The Backstory”. There is also an exclusive coupon code for my subscribers, use SUBTHERAPY to get $3.00 off the month to month subscription price. Now let’s get to the box! Description: “Exfoliating soap with pure Atlantic sea salts in one of 3 scents ~ Shoreline, Midnight Garden or Seersucker. 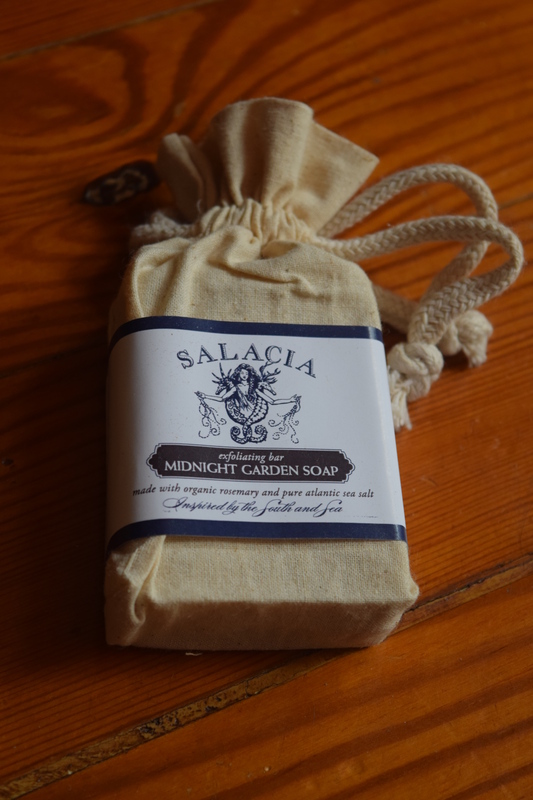 This is a beautifully packaged soap, but I received the “Midnight Garden” scent and it’s a touch too strong for me. I really think the “Shoreline” scent probably would have been perfect. This is lovely though and I’m going to add it to my Christmas 2015 gift stash. 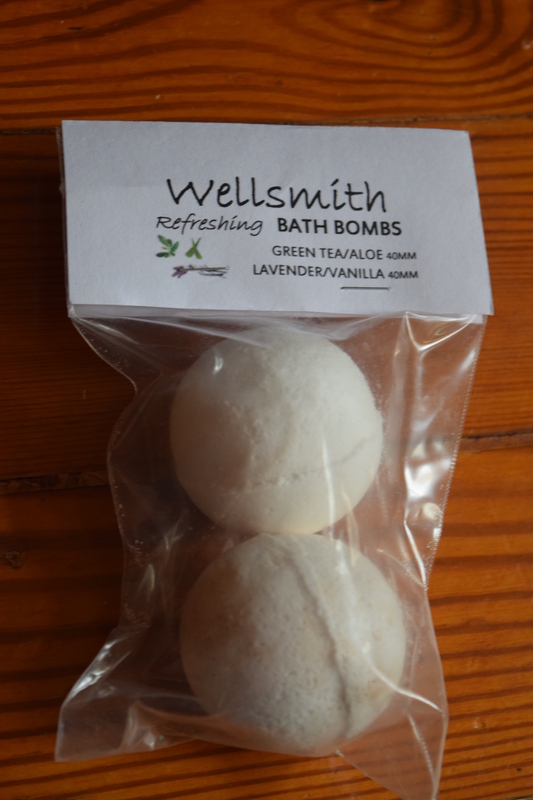 Bath bombs are so much fun and I find Lavender super relaxing, so this is a great fit. The card lists the value at $6.00 but I can’t find a duo in the Wellsmith Etsy shop and just one bath bomb seems to cost $6.50. It seems like Terra Bella’s cost on this one is underestimated. In general I’m not a fan of perfumes in beauty boxes because they are so personal. I can’t wear many scents and unfortunately I find the sandalwood in this a bit strong for me. I’m going to gift this to a friend who enjoys these types of perfumes. This brand does offer a ton of other options and the $5.00 price tag is super affordable so I may try out a few other of their offerings that are more my speed. 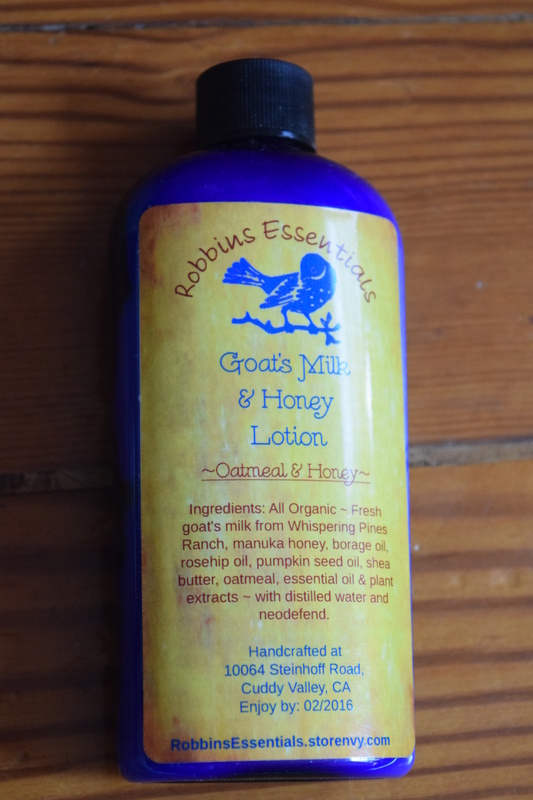 This lotion absorbed quickly and didn’t leave me feeling greasy. I definitely found it to be on the lighter side as far as moisturizers go. The biggest thing I noticed was the scent – it’s almost like brown sugar and it stayed with me all day. I kept catching whiffs of it and being surprised that I smelled like breakfast cereal (but in a good way, I swear). I didn’t see this exact version in Robbins online store, so I linked to a larger size. Vegan mascara is a tough thing to do well. This mascara isn’t the kind that is going to give you a super dramatic eye, but instead offers a more natural look. My eyes are sensitive and my lashes are oily, so mascara tends to bleed all over my face and make my eyes and skin itchy. This one didn’t smear and it didn’t give me any reactions. I prefer bolder mascaras in general but this is nice for a more natural look. 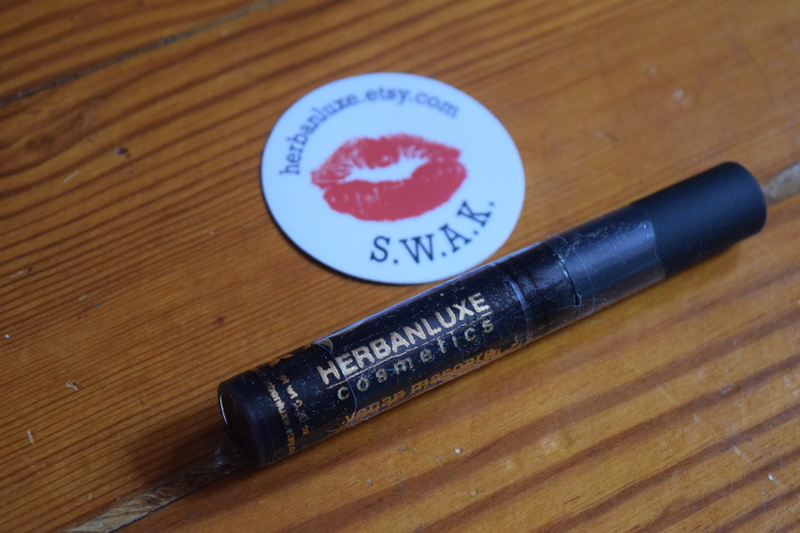 If you’ve been in the market for a vegan mascara you may want to give this one a chance. I received this box for free, but the regular month-to-month price is $37.95. The estimated retail value came out to $40.49 (and that’s using the lower price for the bath bombs). It’s hard to navigate the world of natural beauty products because there are so many small businesses in large marketplaces like Etsy. Natural beauty subscriptions are a great way to introduce you to brands you might never hear of otherwise. I’ve tried lots of natural beauty products and these brands are all new to me so I feel like this box was successful even if all the items weren’t to my exact taste. The winner is…drumroll please….Southern Sugar! Thank you so much to everyone who entered. I’ve got more giveaways planned so please check back soon! 2. 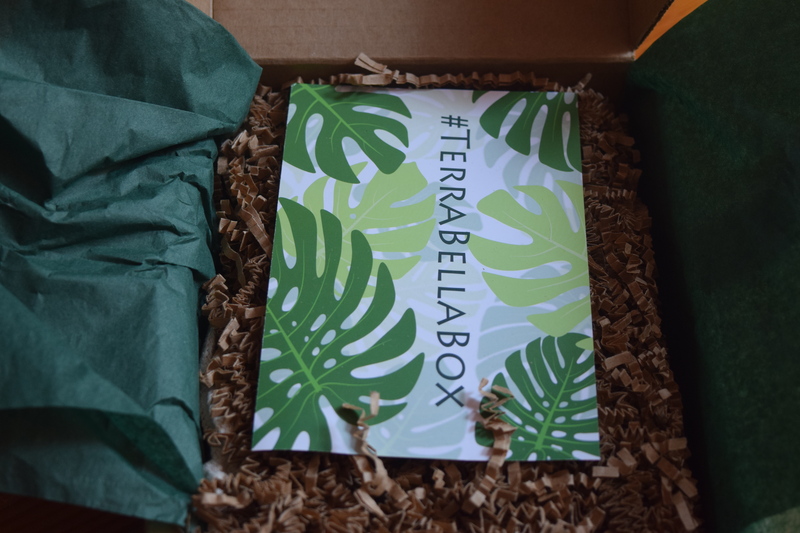 You need to “like” the Terra Bella Box Facebook page. 3. You need to leave a comment on this blog post. You’ve got until Friday September 18th to enter. I’ll announce the winner once they’ve been contacted and a mailing address confirmed. A Limited Edition Holiday Box is available! There is also an exclusive coupon code for my subscribers, use SUBTHERAPY to get $3.00 off the month to month subscription price! 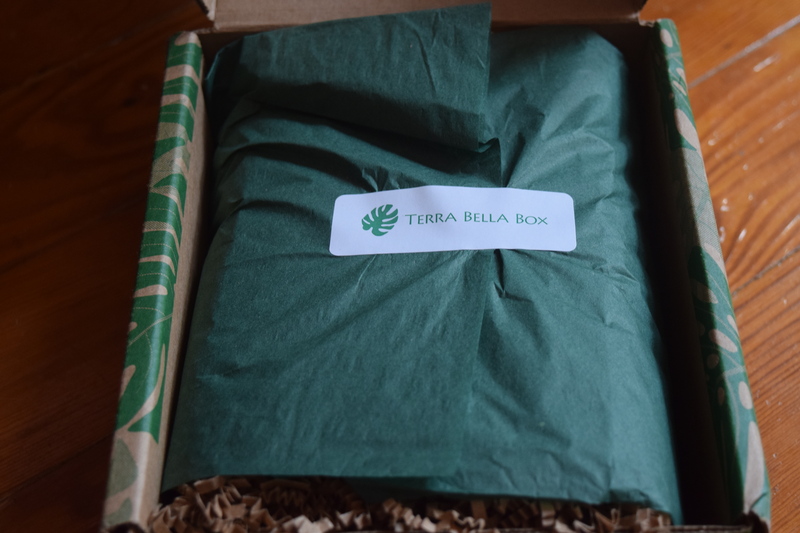 I seen TerraBella popping more and more…I enjoyed your review of this organic/natural beauty sub!! Thanks! And good luck in the giveaway! Thanks for the giveaway!!! Never heard of this subscription box. It’s brand new, so you’ll probably see it popping up more! Good luck with the giveaway and thanks for reading! Entered in the giveaway! Thank you, hoping I’ll get to try them out for the first time. 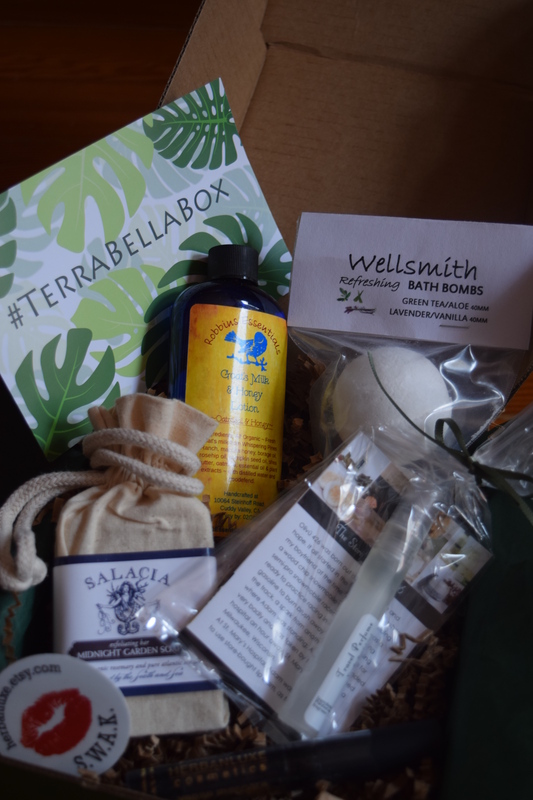 I’m intrigued by this subscription box! Most don’t hit my interests, but this one could be a go to. I liked them on FB to get entered too. If you’re interested in natural beauty products, it’s pretty overwhelming to just start trying stuff on Etsy. This sub is a nice way to try out different natural brands to see what works for you. Thanks for reading and good luck in the giveaway! This is definitely a nice box! What a neat subscription box! Thank you for the giveaway! i love your in-depth posts about subscription boxes. I’m thinking of getting this one and the Rachel Zoe box! Thank you for the giveaway! It’s so much fun to try out new boxes and I’m glad I can help people make an educated purchase. Thanks so much for reading and good luck on the giveaway! I love the look of the products in this box! And this time of year, no one can have too many lip balms. Very true! I don’t have a clue how many lip balms I have. I keep them all over the house and in different purses. Thanks for reading and good luck on the giveaway! I like the look of this. I’ve never tried beauty boxes, but you have me tempted. There’s so many great beauty boxes out there. Maybe splurge for your birthday! Thanks for reading and good luck in the giveaway! I don’t wear a lot of makeup, but I’m always interested in good lip balms, especially heading into winter. Lip balms are the best. I keep them all over the house and in all my bags. Thanks for reading and good luck in the giveaway! Thanks for the giveaway! Good review! Thanks for doing this giveaway! I never win anything but you never know lol! This is a smaller giveaway so you’ve got a great chance! Good Luck! That’s a great idea! Thanks for reading and good luck in the giveaway! Just liked the page. Not a huge beauty product person, but I love lip balms! Lip Balms are a necessity in the Winter. Thanks for reading and good luck in the giveaway! Oh, thanks so much for the chance to win this!! I love your blog.